Glastonbury might be taking a break this year, but there are plenty of other amazing music festivals taking place throughout 2018. Not just in the UK, either – this summer’s best festivals are happening all over the continent, in some amazing locations! 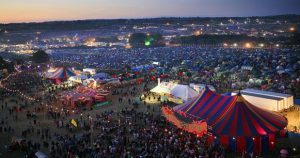 British festival goers will be familiar with the likes of Leeds and Reading, but have you ever heard of Roskilde or Pohoda? Possibly not – but you’ll definitely know a few of their headliners. Here are our picks of the best European music festivals. Primavera is widely regarded as the edgiest festival in mainland Europe, a view supported by its incredible line-up this year. Notable acts performing at Primavera include Nick Cave & The Bad Seeds, The National, Haim and Bjork. If that’s not enough to whet your appetite, Arctic Monkeys are also making their long-awaited return by closing the event on its final night (Saturday June 2). Primavera runs across two sites on consecutive weekends – first in Barcelona from May 30 – June 3, then in Porto from June 7-9. The music starts late, and so can be combined perfectly with morning excursions to the city or the beach. If you fancy a last-minute getaway, tickets for Primavera are still on sale and start from 80€. Having started out as a small, local music event, Pukkelpop is now one of mainland Europe’s most high-profile festivals. 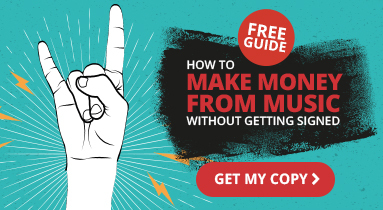 While it’s a firm favourite among indie fans, Pukkelpop’s genres extend way beyond just alt rock – it also regularly plays host to dance, hip hop, punk and heavy metal acts. The variety of Pukkelpop is reflected in this year’s line-up, which features Arcade Fire, Nothing But Thieves, The War on Drugs and Kendrick Lamar. It takes place in the city of Hasselt from August 15-18 and you can get tickets for as little as 100€. While Pukkelpop markets itself as a diverse musical event, Rock Werchter’s roots are less ambiguous (hardly a surprise considering its name). It has been going since 1976, but only in the last couple of decades has its audience expanded from primarily Flemish people to music lovers from all over the world. This year’s Rock Werchter is from July 5 –8 and notable performers include Muse, Gorillaz, The Killers, Pearl Jam and Arctic Monkeys. If you fancy camping in luxury while enjoying some fantastic live music, you can stay in The Hive Resort next to the festival park – accommodation options include a simple tent, a tipi, and even a luxurious lodge. Combination and one-day tickets are available on Rock Werchter’s website. Not many people in the UK are likely to have heard of Pohoda, but it’s a hidden gem on the festival circuit. What sets Pohoda apart from its Western European counterparts are its stunning surrounding landscape and easy-going, artsy vibe (as well as music, it features visual art, film, literature and theatre). Held on an old airfield at Trencin (120km from Bratislava), with acres of land and distant mountain views, it’s easy to see why Pohoda is Slovakia’s flagship music festival. Like other festivals on this list, Pohoda regularly draws in household names from a variety of musical backgrounds. This year’s line-up consists of Ziggy Marley, Jessie Ware, Blossoms and The Chemical Brothers. What’s more, unlike many other popular European festivals, it doesn’t cost an arm and a leg to go to. You can get a three-day ticket including camping for just 99€! If you’re thinking of a weekend getaway mixed with a bit of culture, heading to Pohoda from 5-7 July might not be a bad idea. As festivals go, Roskilde has plenty of pedigree. First created by high school students, it started as Denmark’s first music festival for hippies and is now the biggest event of its kind in Northern Europe. This year marks Roskilde’s 48th anniversary and around 175 acts are set to play there from June 30 – July 7. Among them are Eminem, Nine Inch Nails, Cardi B, Fleet Foxes and Stone Sour. How’s that for an eclectic mix? Full tickets are still available and, if you want to put your money towards a good cause, Roskilde is not-for-profit and run entirely by volunteers. Benicassim has been one of the most high-profile festivals held outside the UK for several years now. Its rampant rise shows no signs of slowing down, either – Liam Gallacher, The Killers, Travis Scott and Wolf Alice are just some of the names blessing Benicassim with their presence this summer. The festival, which is held between Barcelona and Valencia, is notorious for hosting acts which play throughout the night and into the early hours of the morning (often until 8am). There’s also a beach within a 15-minute walk of the festival’s campsite, for those who are feeling ‘cultured out’. Tickets for Benicassim are slightly on the expensive side, but it’s worth it for the sun, sea and stellar music. For one week a year, the Óbuda-island in the heart of Budapest is transformed into a big festival site, affectionately known as the Island of Freedom. This vast island contains a small beach and a mesmeric array of stages, hosting everything from jazz to blues to folk rock and hip hop. This summer, it will play host to Gorillaz, Stormzy and – you guessed it – Arctic Monkeys. 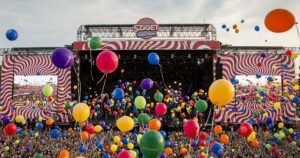 Sziget runs from 8-15 Aug and you can get a 3-day-ticket for less than 200€. Based on the festival’s location, you could also easily factor it in to a trip to Budapest while you’re at it. Last – but most definitely not least – is EXIT Festival in Serbia. This multi-award winning festival was founded out of protest against the Serbian government back in 2000 and has gone on to become one of the world’s most culturally influential musical events. It also takes place on an actual fortress. 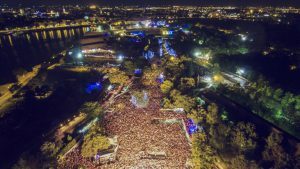 Held at the Petrovaradin Fortress in the city of Novi Sad, EXIT is best known for its rock, electronica and dance music. This year’s acts include Ziggy Marley, Migos, David Guetta and Fever Ray. Getting to Novi Sad isn’t entirely straightforward – most people fly to Belgrade and pre-book a transfer. But, once you arrive at the grounds of this unique festival, they’re a sight to behold. EXIT Festival is on 12-15 July and tickets start from £99. No doubt you’ll agree that these are some of the best European music festivals around! Whether you’re playing at Primavera or in a pub, the likelihood is that you’ll need Public Liability in order to perform. Public Liability covers you if you accidentally injure someone or damage third party property when performing live, and most venues will ask you for proof of this before allowing you to play. That’s why Insure4Music offers Public Liability from just £20 a year. 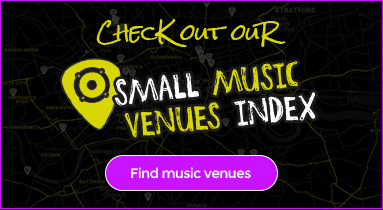 To ensure you never miss a gig, get an instant online quote with us today.